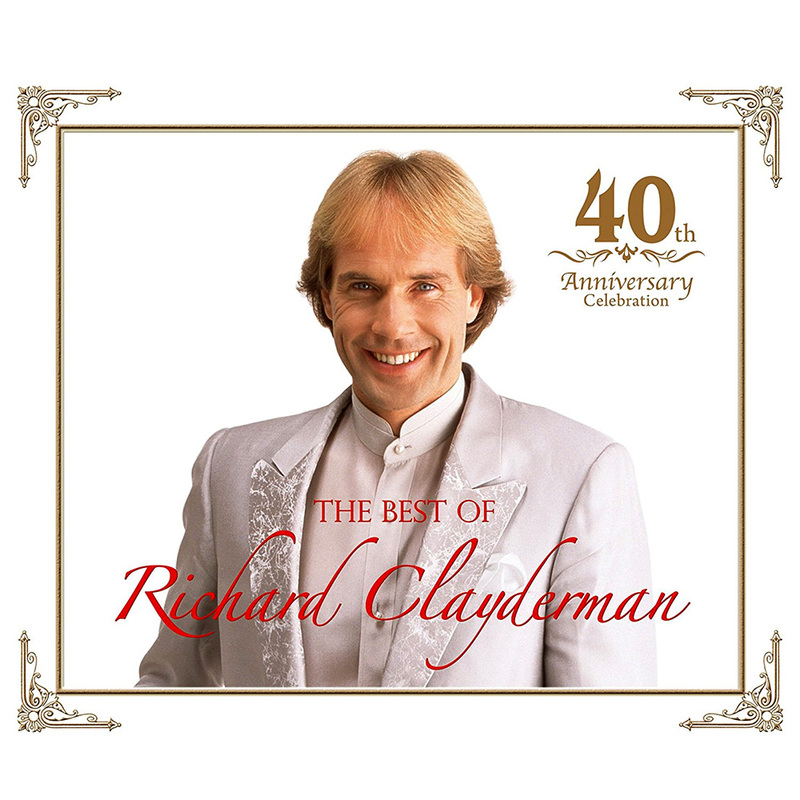 ‘The Best Of Richard Clayderman – 40th Anniversary‘ is a 2CD + DVD collection to mark the 40th year since the recording of ‘Ballade Pour Adeline’. This special boxed set includes 40 tracks featuring many of Richard Clayderman’s most recognised music together with a DVD of the amazing ‘Korakuen Baseball Stadium Concert’ from 1983 where Richard performed to an audience of 40,000. As a special bonus, there are 3 new recordings including: ‘Iihi-Tabidachi’, ‘Subaru’ and ‘We’re All Alone’. Although released in Japan, the CD is available from many suppliers around the world, links to some are provided below. ‘The Korakuen Baseball Stadium Concert’ DVD, as well as ‘Ballade Pour Adeline’, ‘Lady Di’, Eléana’ and ‘Chariots Of Fire’. The repertoire of this double album features 40 carefully selected titles to commemorate the 40th anniversary of my début, and my 40th concert tour in Japan. Over the course of an incredible 40 years, I have been lucky enough to share with my many Japanese audiences those special emotions that unite us, allowing us to immerse ourselves in a world that belongs only to us. I recall May 17th 1983 at the Korakuen Baseball Stadium, and this double album would not be complete without a DVD to mark this momentous occasion. That fine evening at Korakuen, the wind roared, chasing the torrents of rain from the previous night, and I had lived a truly unforgettable moment in the company of 40,000 people. 40th anniversary, 40th tour, 40 titles on this double album, and 40,000 people at Korakuen who will remain eternally etched in my memory.